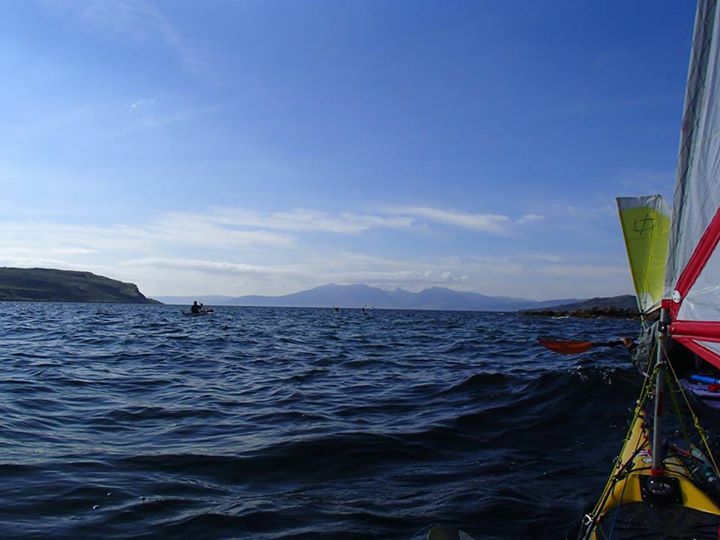 Report: The original objective had been Little Cumbrae but the battle south towards Millport into the wind soon put paid to that idea. It was thought, initially, that it might be too windy to experiement with sails but in fact it was near perfect conditions for the run north on the far side of the island as these two photos from Pete show. 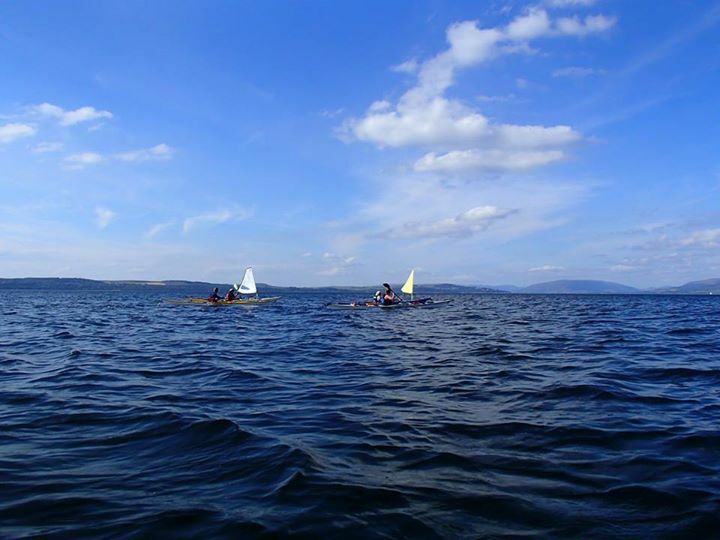 Some claim kayak sailing is cheating! 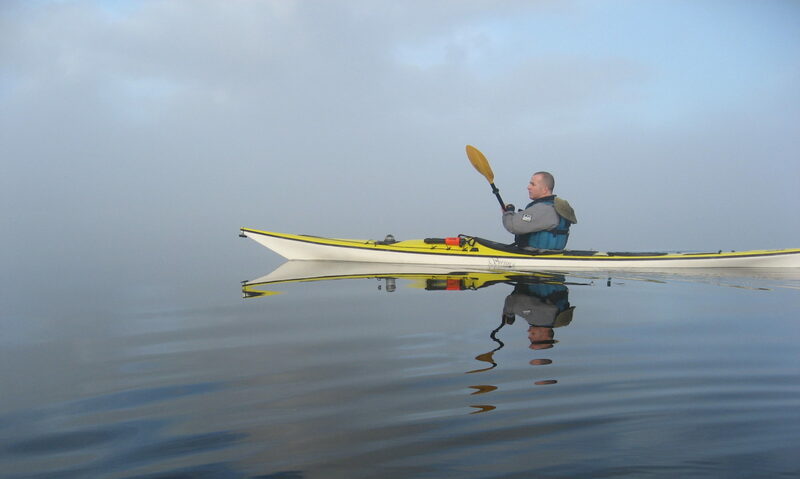 From my still very limited experience, any physical effort lessened is matched by the mental effort increased; a sea kayak running downwind is not the most stable of craft even without a flapping sail. After rounding the north end, the battle back up to the marina was as difficult as expected but suprisingly satisfying. This was a really good day.